The University Commencement Ceremony for the College of Natural Sciences and Mathematics will include all Spring 2019 bachelor’s, master’s and Ph.D. degree candidates from the College of Natural Sciences and Mathematics. Families and friends are encouraged to attend. Tickets are not required for guests attending Commencement. At University Commencement for NSM, all graduation candidates will be individually recognized and will walk across the platform when their names are called. Graduation candidates will wear regalia (cap and gown) at Commencement. Beginning April 15, regalia can be purchased or rented at the UH bookstore. Students must arrive at 4:30 p.m. at Fertitta Center. 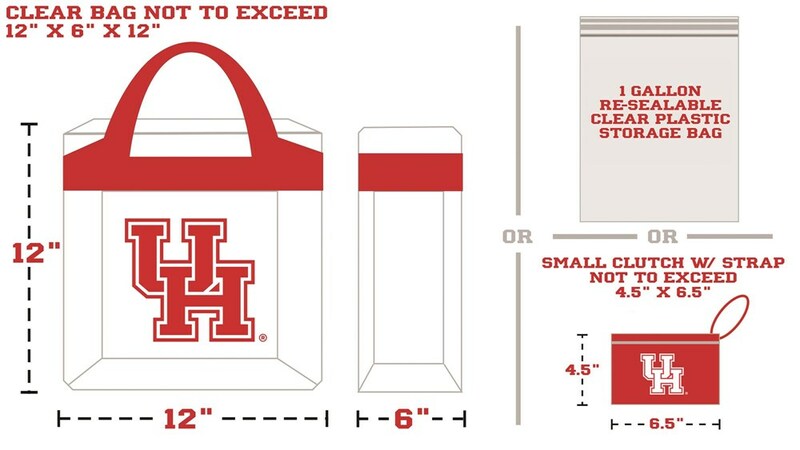 Students will need to follow the guidelines provided in the clear bag policy of Fertitta Center. Only Graduation Candidates will be allowed in the doors for line up. More detailed information will be available in late April. Doors to Fertitta Center will open at 5 p.m., one hour prior to the start of Commencement. Guests will need to follow the guidelines provided in the clear bag policy of Fertitta Center. Tickets are not required for admission to Commencement. However, seating is first come, first served. There is no charge for parking on campus. Students and guests should review the attached map for parking options. Areas for guest and student parking are clearly marked. Please contact Tristan Sims at tsims4@uh.edu no later than two weeks prior to Commencement to plan how we can best accommodate your needs on this exciting day. Special seating is available, but limited. Please plan to arrive early. For guests with mobility impairments, the doors will open at 4:30 p.m., 30 minutes earlier than the scheduled time, so you can be comfortably seated. In order to accommodate as many mobility-impaired guests as possible, there will be a strict limit of one guest accompanying the mobility-impaired guest in the reserved seating area. We apologize for any inconvenience this may cause your group.